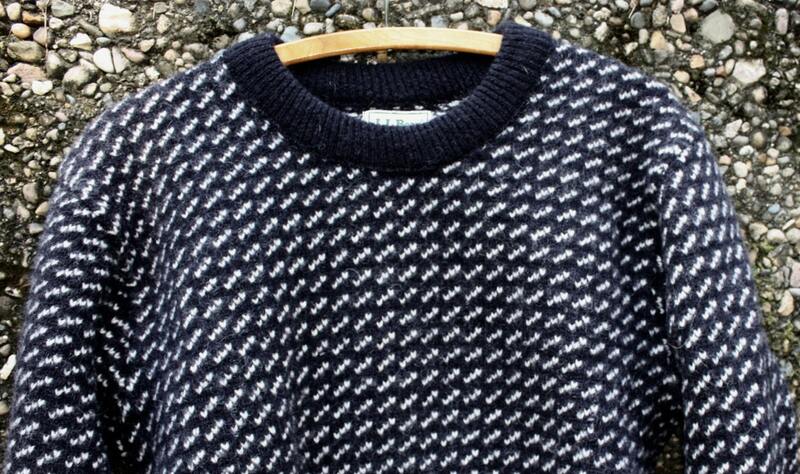 Super Warm and Thick Classic Navy with White Dash Pattern Sweater. Navy Ringers. 80/20 Percent Wool/Rayon. Size Womens L. Made in Norway. 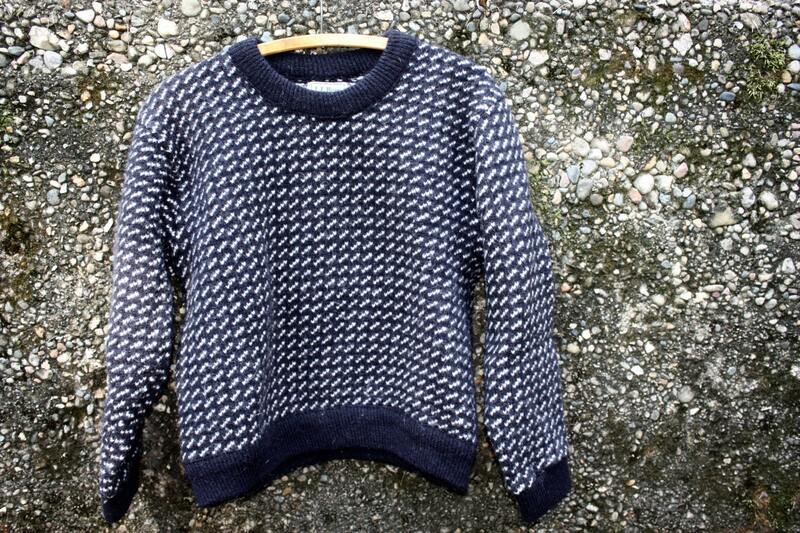 Beautiful and super snuggly vintage navy blue sweater with white segmented diagonal line pattern. Thick ringers of navy at neck, wrists and waist. 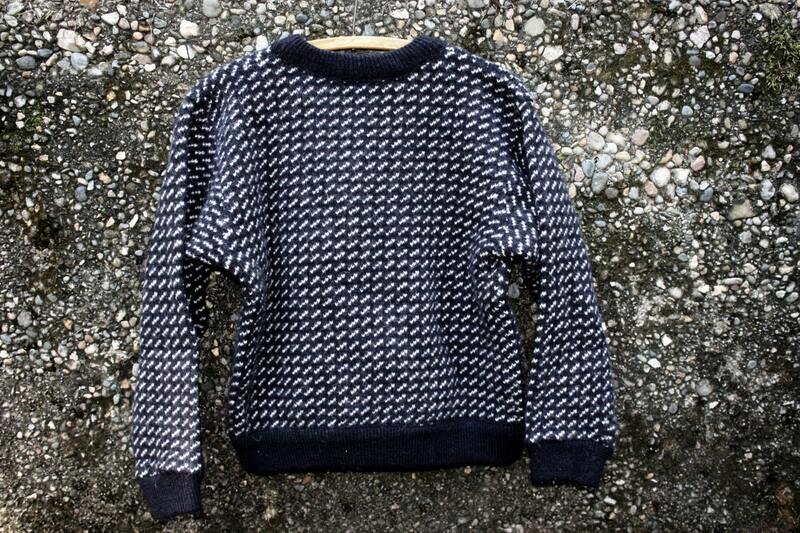 Made in Norway of 80% wool and 20% rayon for L.L. Bean. Very thick sweater is sure to keep you warm this fall and winter!